Mt. 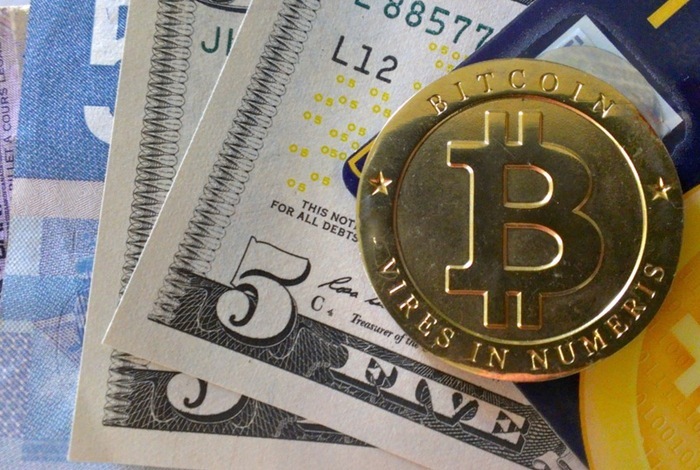 Gox Bitcoin Exchange Offline Due To Insolvency After Hack? It has been reported this week that the troubled Mt. Gox Bitcoin exchange as this week gone off-line due to a year-long theft that has caused the exchange to go insolvent losing hundreds of millions of dollars in the process. This week both the twitter feed and official website for the Tokyo-based Mt. Gox Bitcoin exchange have been wiped clean and trading on the exchange has been halted reveals a screenshot which was posted via the Reddit website. Reports are indicating that a hack was responsible for the loss of money and that it had been in place for a number of years, if an internal Mt. Gox document which surfed on the Internet is to be believed. Ryan Galt, a Bitcoin blogger and former venture capitalist, explained that he has received the unverified document from “an otherwise reliable source.” Galt, further explained he would work “feverishly” to determine the document’s authenticity, called the situation outlined in the document “catastrophic.” Finally explaining that “I do believe that this is one of the existential threats to Bitcoin that many have feared and have personally sold all of my Bitcoin holdings,” wrote Galt. The purpose of this document is to summarize a joint statement to the Bitcoin community regarding Mt.Gox. This tragic violation of the trust of users of Mt. Gox was the result of one company’s actions and does not reflect the resilience or value of bitcoin and the digital currency industry. There are hundreds of trustworthy and responsible companies involved in bitcoin. These companies will continue to build the future of money by making bitcoin more secure and easy to use for consumers and merchants. As with any new industry, there are certain bad actors that need to be weeded out, and that is what we are seeing today. We are confident, however, that strong Bitcoin companies, led by highly competent teams and backed by credible investors, will continue to thrive, and to fulfill the promise that bitcoin offers as the future of payment in the Internet age. In order to re-establish the trust squandered by the failings of Mt. Gox, responsible bitcoin exchanges are working together and are committed to the future of bitcoin and the security of all customer funds. As part of the effort to re-assure customers, the following services will be coordinating efforts over the coming days to publicly reassure customers and the general public that all funds continue to be held in a safe and secure manner: Coinbase, Kraken, BitStamp, Circle, and BTC China. We strongly believe in transparent, thoughtful, and comprehensive consumer protection measures. We pledge to lead the way. Bitcoin operators, whether they be exchanges, wallet services or payment providers, play a critical custodial role over the bitcoin they hold as assets for their customers. Acting as a custodian should require a high-bar, including appropriate security safeguards that are independently audited and tested on a regular basis, adequate balance sheets and reserves as commercial entities, transparent and accountable customer disclosures, and clear policies to not use customer assets for proprietary trading or for margin loans in leveraged trading.